That thirst for the new is what makes Science Vale tick. Scientists, innovators, and entrepreneurs come here to share in its world-leading concentration of research facilities and development activity. 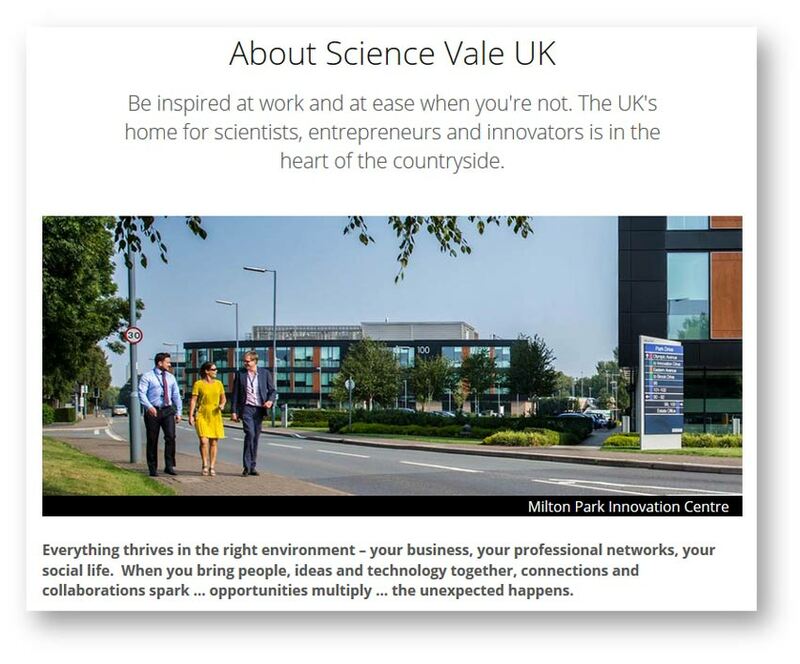 Their lively and imaginative community has turned Science Vale into one of Europe’s most successfully competitive science hot-spots. There’s nowhere else like Science Vale. This vast swathe of fresh air and free-thinking contains two of the UK’s leading big-science research centres (Culham and Harwell); is midway between the M4 and Oxford (home to the world’s number-one ranked university); and straddles the border of the North Wessex Downs area of outstanding natural beauty. Science Vale encourages you to think big and to run free – to let your business, your family, and your social life flourish. Why not join us? If you’re as hungry as we are to do things differently, the opportunities are limitless. Science Vale UK is a fast-growing enterprise zone in rural South Oxfordshire. 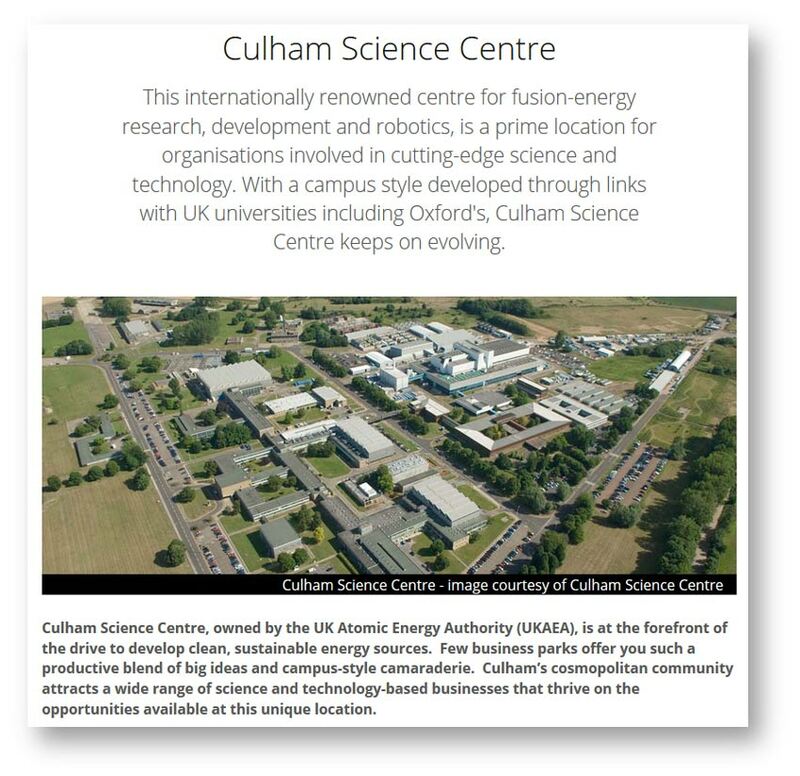 The driving force for this linked string of technology-based business parks are the science centres of Harwell and Culham. 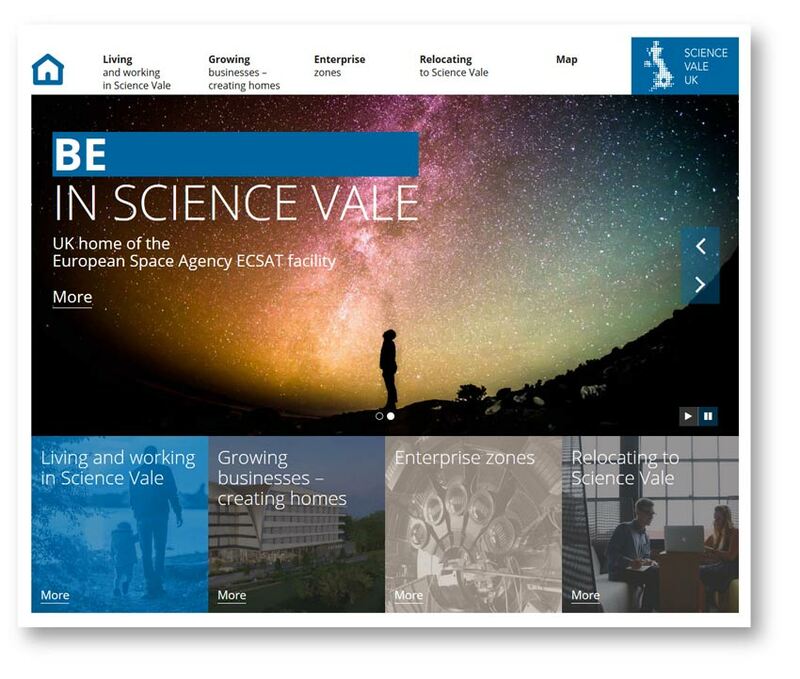 To encourage businesses to relocate to the region, Science Vale developed a website covering every aspect of local life from education to housing, shopping, and socialising. The website made a big thing of the financial incentives to relocate and the business advantages of working in a region buzzing with like-minded companies. 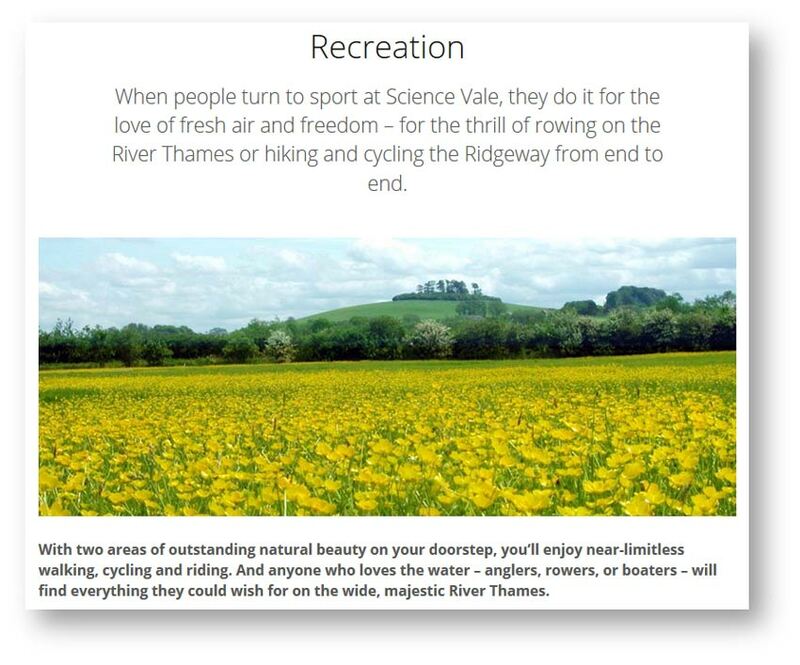 We’re the copywriters who wrote most of the 60-plus pages on the Science Vale UK website.